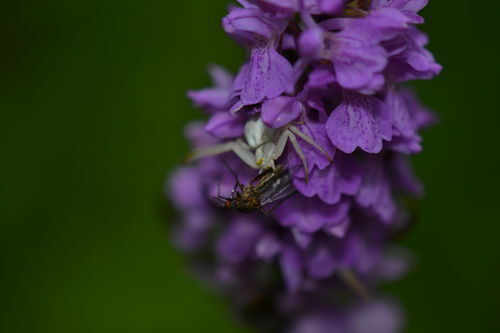 It appeared that 2013 was a very good year for Flower Spiders Misumena vatia. No kind of flying insect appeared to be safe from this species. 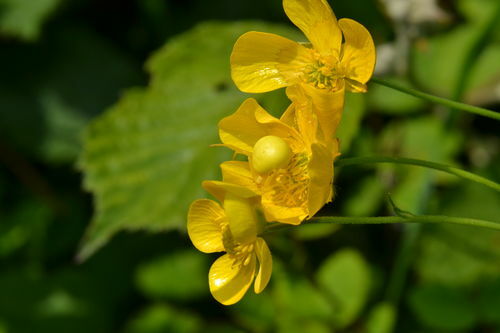 Their ability to change colour to camouflage against white or yellow flowers (01) seemed particularly successful. 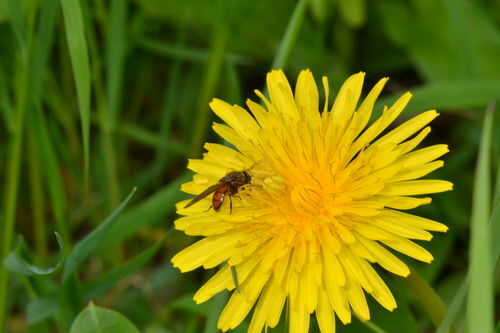 In Grafton Wood I witnessed a Heineken Fly Rhingia campestris apparently feeding from a Dandelion, but closer inspection revealed the fly to be in the jaws of a perfectly hidden Misumena (02). Empid flies (03) other species of hoverflies, and various other Diptera fell victim to ambush on Hogweed. 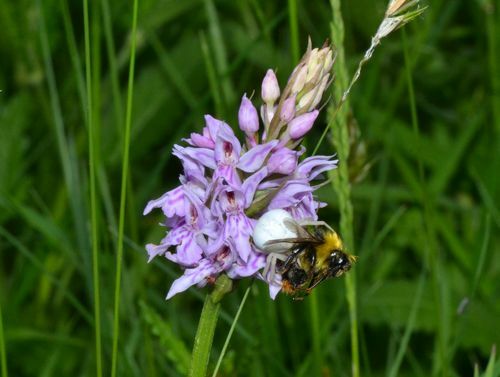 Just outside the county in Oversley Wood (Warwickshire), bumblebees and flies (04) were being targeted at the flowers of Marsh Orchids.. 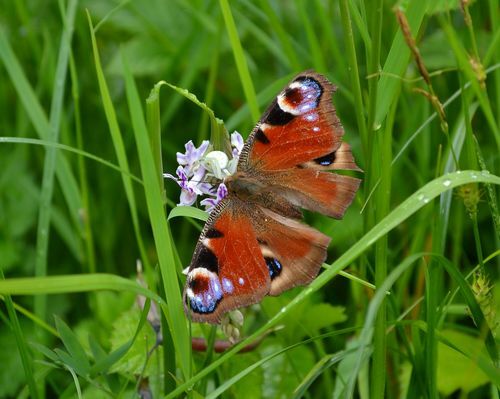 In Trench Wood I photographed a Peacock butterfly feeding at a Common Spotted Orchid and noticed that this (05) and a bumblebee (06) were victims of flowers that bites. 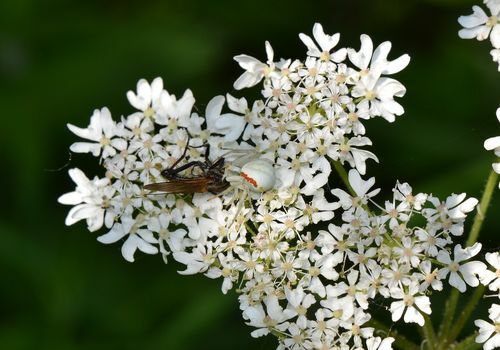 Not all of the successful spiders had changed to match the colour of the flower (a white spider was observed catching hoverflies on pink Ragged Robin), so it might be that the camouflage is more about protecting the spider from predators rather than disguising it from its prey? (or that insects see colours differently to the human eye? Ed. ).